“Excuse me,” a friendly voice said to me at Expo West as I was tasting the wares at a booth in the Hot Products Pavilion. “I just heard you say that you work for Gluten-Free Living. Can I talk to you for a minute?” At Expo West, you talk to anybody and everybody, and this guy was polite (not always the case), so I chirped back, “Sure!” Thus began my cricket-eating experience. Why don’t Americans eat bugs? The guy turned out to be Dave Baugh, COO of Lithic Nutrition, Colorado’s first and only cricket-based foods producer. Yes, you read that right. And yes, I’m sure the look on my face reflected my initial reaction of “um…” But Dave soldiered on, telling me that during his time spent in Southeast Asia with the Marines he learned that crickets and other insects are not only nourishing for jungle survival but also a tasty food source commonly enjoyed around the dinner table. Why, he wondered, do Americans avoid eating bugs while 80 percent of countries worldwide take advantage of their protein-packed nutrition? Well, let’s face it, because they are bugs. The only time we tend to see them eaten in the U.S., the person doing so is trying to win money on a game show (think Fear Factor or Survivor). But, as I instinctively recoiled in horror, preparing to bolt from the bug guy, I listened to what he was telling me. Did you know that crickets provide about twice as much protein as beef (and exceed the protein provided by chicken and eggs by even more)? And weight for weight, crickets contain more calcium than milk, more omega-3s and vitamin B12 than salmon, and more iron than spinach. insect-based products could be implemented into the American diet. that for proof of the twin mind-meld!). and most nutritious cricket-based foods on the market. Lithic produces protein bars as well as Cricket Complex, America’s first protein powder supplement using crickets as the main ingredient by volume. Both are made using cricket powder, which uses every part of the cricket and is reduced into a very fine flour before being incorporated into the products. Which brings us back to my meeting with Dave at Expo West. As we talked, we walked to meet up with Lars, who was toting a backpack full of cricket bars. It was time to put up or shut up—and I rarely shut up—so I took the bar, mentally preparing myself for what I was sure would be the crunch of creepy crawlies. And…it wasn’t at all what I was expecting (thankfully)! In fact, the bar—I tried the blueberry vanilla—was soft, chewy and sweet, like a brownie in texture, and the flavor combination was tasty but not overpowering. As I continued eating (shocking myself that I was genuinely enjoying the cricket-filled snack), Dave and Lars told me that their bars have 15 grams of protein—over 30 percent more than any other cricket bar available. With the industry growing—estimates project the edible insect market will grow from $40 million in 2016 to $522 million by 2023—the Lithic team’s ultimate goal is to see cricket protein used as a natural protein fortification in kitchens everywhere. It plans to introduce ready-to-mix pancake, brownie and cookie batters integrated with cricket flour in the near future. 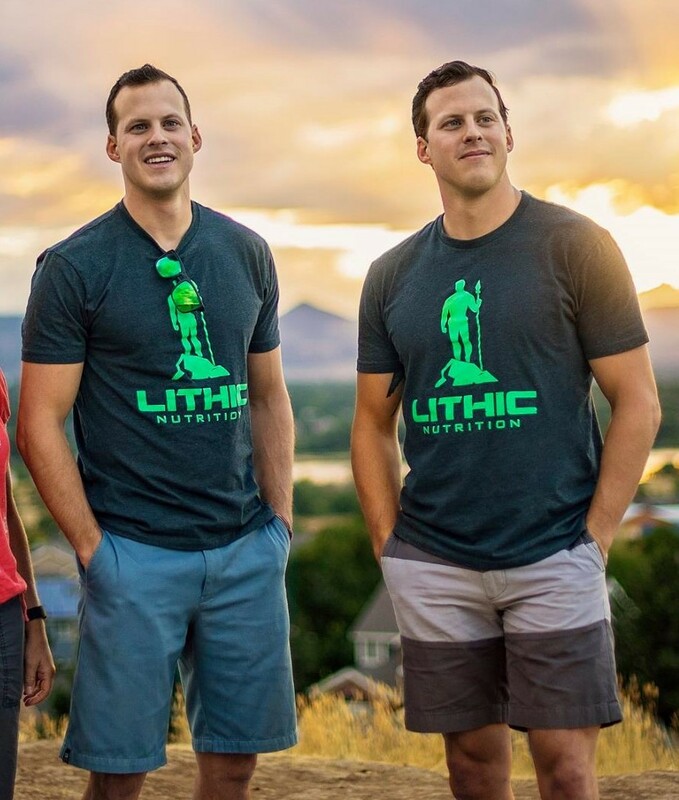 Lithic products are 100-percent natural, without any sugars, fillers, or artificial flavors or preservatives. They exclude soy and lactose to best aid absorption and digestion. Founded on the philosophy of eating what’s right for your body, none of Lithic’s products contain gluten. 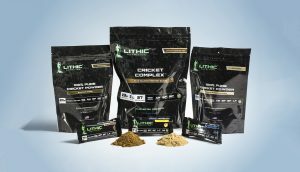 If you’d like to learn more about Lithic cricket bars and other products, visit https://lithicnutrition.com/. Want to stay in the know on new gluten-free products?